We are pleased to announce that the USAF Summer Camp album is now available for viewing. We are deeply grateful to Jaime Kahn, whose amazing talent has provided a permanent collection of images which so beautifully capture the camp experience. 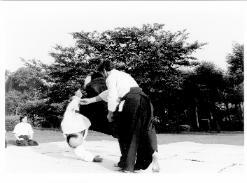 All photos are available for purchase. Please proceed to the Recent link at www.kahn.zenfolio.com to view the beginning of the new USAF archives. 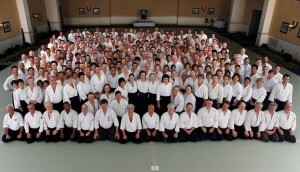 Students from New York, Connecticut, Rhode Island, Maine, New Hampshire, Vermont, Canada, of course Massachusetts, and even Florida, were in attendance at the June 11 & 12 weekend seminar at New England Aikikai. 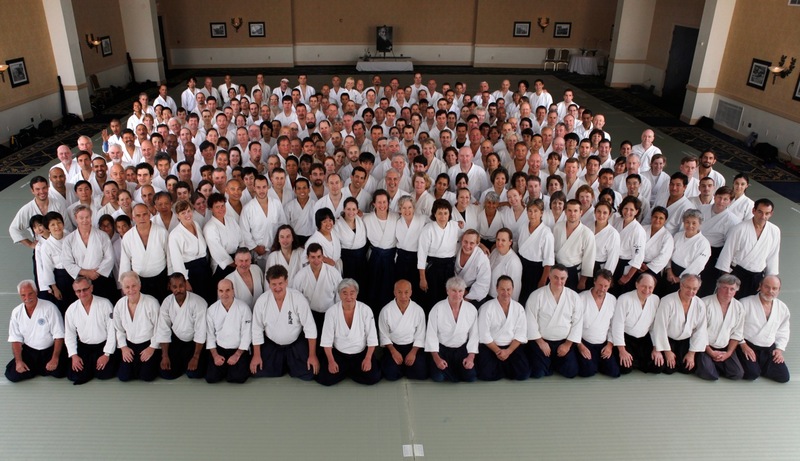 The mat was full of energy and excitement with intensive training and focus on the powerful, dynamic, and beautiful world-class Aikido of Donovan Waite Shihan…instruction delivered with the love, warmth, patience, and kindness as embodied in the spirit of Aikido! 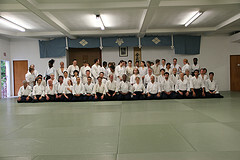 On Saturday, 16 April 2011 Darrell Tangman, Rokudan, and Lamar Sanders, GoDan, conducted a seminar and a promotional exam for the members of the Georgia Southern University Aikido Club. Seven students earned promotion. 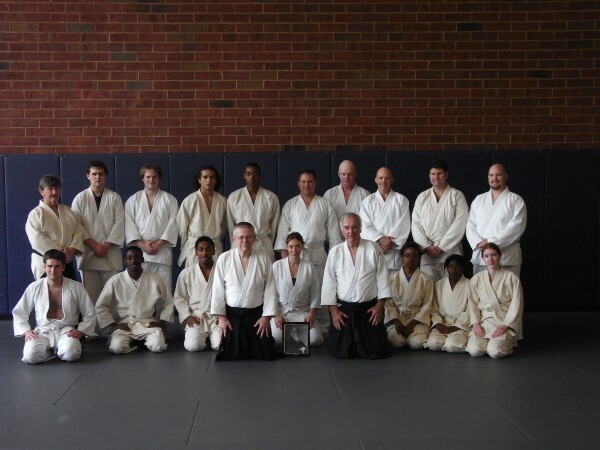 Two guests from the Aikido Center of Savannah and one guest from the Augusta Aikido Club also attended. 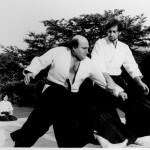 The Georgia Southern University Aikido Club trains on Tuesdays and Thursdays between 5:00 PM and 7:00 PM and on Saturdays from 10:00 AM to Noon. 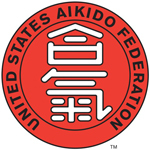 Any Aikidoka visiting the area are welcome to train with the Georgia Southern University Aikido Club. Please contact the instructor for arrangements: dslater@georgiasouthern.edu . 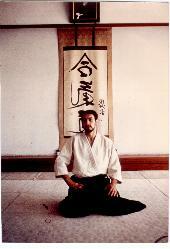 I have just returned from France and Germany, which finally ends my long summer of traveling and teaching seminars. One of the highlights of my summer was being at our camp, seeing everyone training hard and then enjoying the hotel pools and hot tub, as well as the relaxing social time around dinner and throughout the evenings. 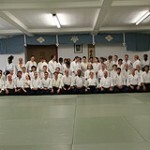 I would like to thank you for attending our 2011 USAF Summer Camp. Your presence helped to make this year’s camp a wonderful experience for everyone involved. 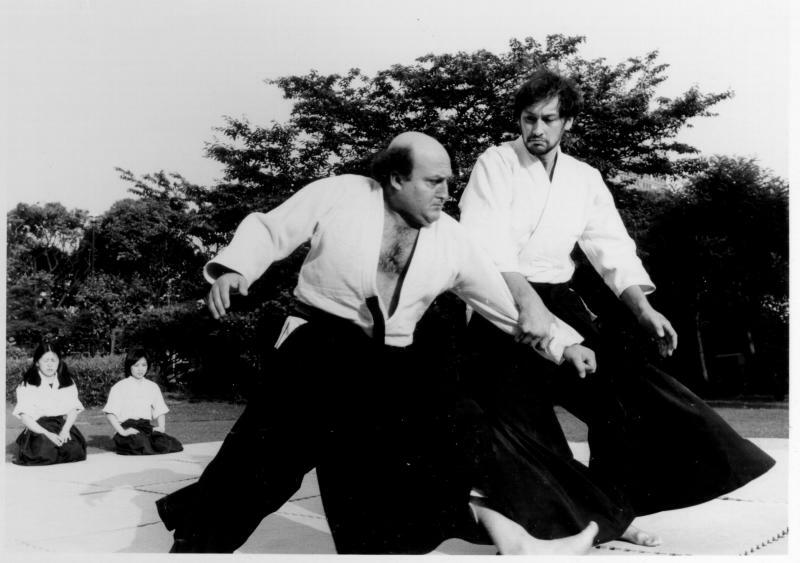 As you know, Osawa Sensei has agreed to be our guest instructor again next year along with our USAF Shihan and featured Shidoin. We are in the process of planning next year’s camp and as soon as we have all the details, we will announce them so that you will have plenty of time to plan for 2012. I am looking forward to seeing all of you again next year.